Second Degree Burglary, which is also known as commercial burglary. The main difference between these crimes is the type of property you enter to commit your crime. 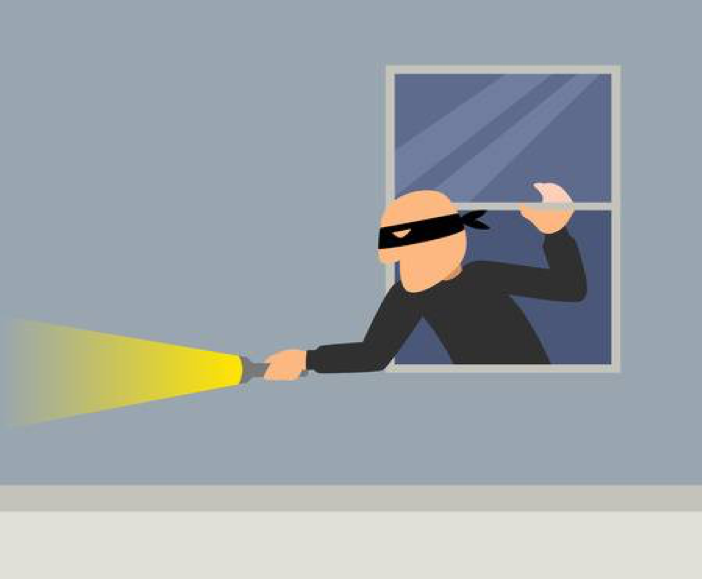 Burglary, as defined in 459 PC, occurs when you enter property with the specific intent to commit theft or a felony once you are inside. You are not required to actually commit this theft; the fact that you intended to commit the crime is sufficient to warrant criminal charges. Intent is an essential element to the crime of burglary. You must show or reveal Specific Intent for the crime once you have entered property unlawfully. You cannot be convicted of burglary if you accidentally, mistakenly, or drunkenly entered property that does not belong to you if you did so without intent to commit a crime. How will the District Attorney prove that you had the intent to commit theft? Many times, the District Attorney will rely on evidence that you were in the possession of items that are commonly used in a burglary. These items could include common, everyday tools such as a simple screwdriver. You don’t have to break in. You don’t actually have to pick a lock or break a window to be charged with burglary. Simply setting foot into a home, business, or barn through an unlocked door is sufficient to satisfy the requirement for burglary. No further criminal act is necessary. Again, the crime of burglary only requires that you have the intent to commit a theft or felony. Whether or not you are successful in committing a crime inside the property you enter will do. The criminal penalties you will face for burglary will depend on the specific charges filed against you in California. 2nd Degree Burglary, or commercial burglary, can be charged as a misdemeanor, felony offense, or wobbler. A misdemeanor conviction for 2nd degree burglary is punishable by a maximum of 12 months in a County jail and/or $1,000 in fines. A felony conviction for 2nd degree burglary is punishable by between 16 months and up to three (3) years in State Prison and/or fines of up to $10,000. Just because you have been arrested and/or charged with the crime of burglary does not automatically mean that you will be convicted. The District Attorney is required to prove that you had the intent to commit theft or a felony once you entered property unlawfully. This can be difficult to prove, especially if you were not in possession of any tools that are commonly used in a burglary. You can make it even more difficult for the prosecution to build a strong case against you by hiring an attorney to defend you. There was a violation of your Constitutional rights. If you have been arrested for and/or charged with Burglary in California you should contact an attorney as soon as possible. An experienced attorney will be able to review the details of your case and determine which defense(s)that may be most helpful in your case.